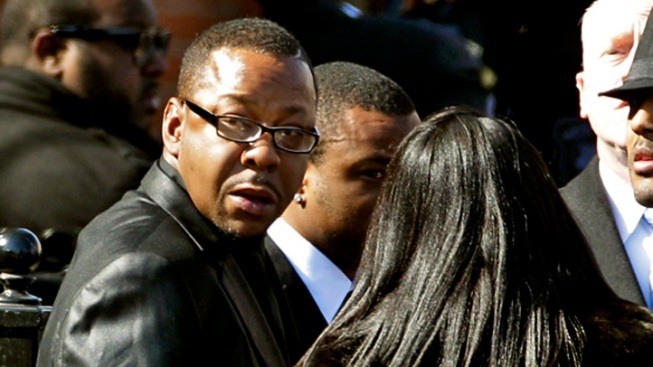 Bobby Brown was charged Wednesday with three misdemeanor charges including drunken driving, two days after his afternoon arrest in suburban Los Angeles. Brown faces two DUI-related counts and another charge that he was driving on a suspended license, city attorney's spokesman Frank Mateljan said. One of the counts alleges the R&B singer had a blood alcohol level of more than 0.08 percent, which is the level at which someone is presumed to be driving under the influence. Brown's attorney, Tiffany Feder, said she could not comment on the case because she had not yet received the police report and other documents. Earlier in the day, she released a statement denying that the singer was driving unsafely when he was pulled over by the California Highway Patrol on Monday afternoon. The agency said Brown was initially stopped because he was seen talking on a cellphone without a hands-free unit, but the officer also suspected the singer was impaired. Brown failed a field sobriety test, according to the CHP. He was released from jail without having to post bail. "Mr. Brown is taking this matter seriously, and an investigation is under way," Feder said in the statement released before her client was charged. "The legal process shall run its course." Brown faces up to six months in jail on the DUI counts if convicted. His first court appearance is scheduled for April 16. He is the ex-husband of singer Whitney Houston, who drowned in a bathtub on the eve of Grammy Awards in February. He made a brief appearance at her funeral but left before the service began. Brown is a founding member of the group New Edition and has been touring with the group recently.